You'd like to make your workout wear look distinctive and that's possible by using striking and bold colour combination. So for twin sets, you can have both entities in separate colours. Another idea is to for a bold colour like cobalt blue outfit with contrasting bright orange trimmings that will give it a sporty look. There are various combinations that could be worked out in terms of colour. Besides colour combination, the design of the garment too plays an important role in deciding the style quotient of your outfit. Say goodbye to old boring t-shirts and get swanky sports bra to give you company in the gym. Not only will it hold your breast in place and take care of unwanted stress and movement to tissue in that area, but will also give your outfit a trendy look. These are made with high quality moisture wicking fabric that helps to absorb sweat quickly. To add to it, racer-back cut-out style of the top allows airflow to keep you cool, dry and comfortable. You could get into the groove of working out in a wide range of bottom wear that includes leggings, track pants, jogger tights and much more. There's slight difference in length and cut of each of these giving it a different name. Whichever style you endorse, you can always pep it up with bold prints. The prints could range from floral to stripes and much more! 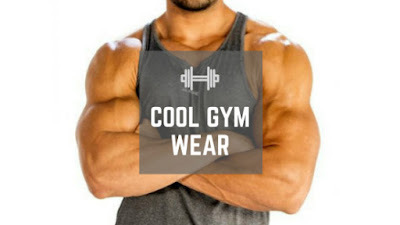 There are zillion of ways in which you could transform mere high performance fitness clothing to cool gym gear that will attract loads of eyeballs!